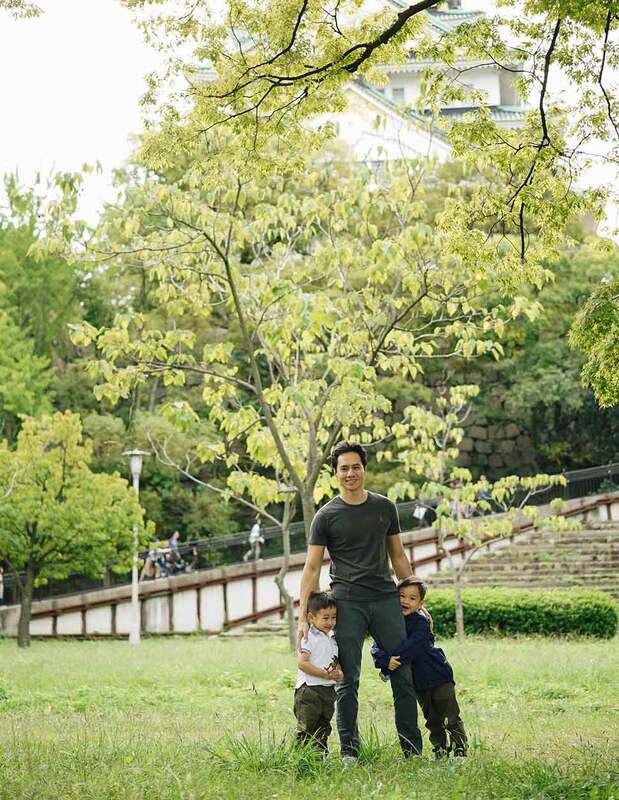 They may have grown up or studied abroad, but these guys know Manila’s where it’s at. The phenomenon of Filipinos leaving the country to study or work abroad is nothing new, but how many come back to make a life for themselves here? No one can fault people for dreaming of a better life for themselves outside the motherland, but there’s something admirable about those who’ve had that chance yet decided to call this crazy, wonderful place called the Philippines their home. Repatriated entrepreneurs are not a new phenomenon, but lately they seem to have put up deep enough roots back here to have become a growing cultural phenomenon within the business community. The tech startups, in particular, seem to find themselves concentrated within the leafy neighborhood of Salcedo Village—and so they've jokingly started to call their corner of the world "Salcedo Valley." Here are four young men who are making waves either as founders or valuable members of local tech startups—all with Filipino blood, they chose to leave home to try and make their mark here in the Philippines. 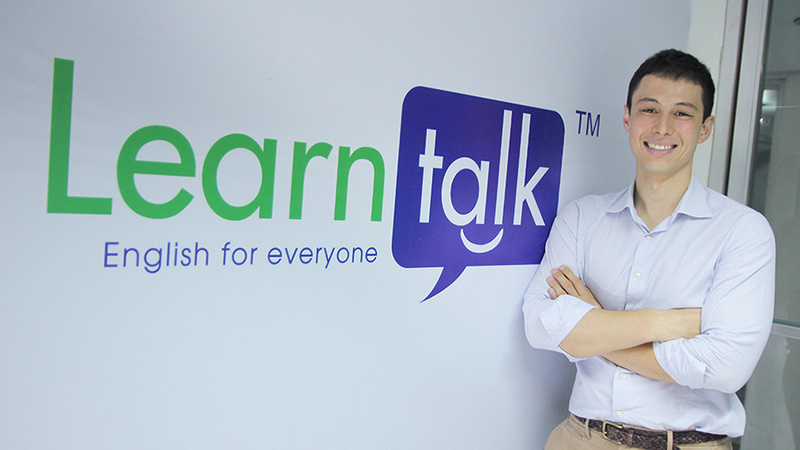 Filipino-Italian Nicolo Luccini is the founder and managing director of Learntalk, a platform that helps non-native speakers learn English online. After having studied at what he calls “a very traditional boarding school in the United Kingdom” (The King’s School in Canterbury, which dates back to 597 AD, making it one of the oldest schools in the world), Luccini pursued a masters degree in Chinese Studies at Cambridge University and spent a year studying the language at Peking University in China. 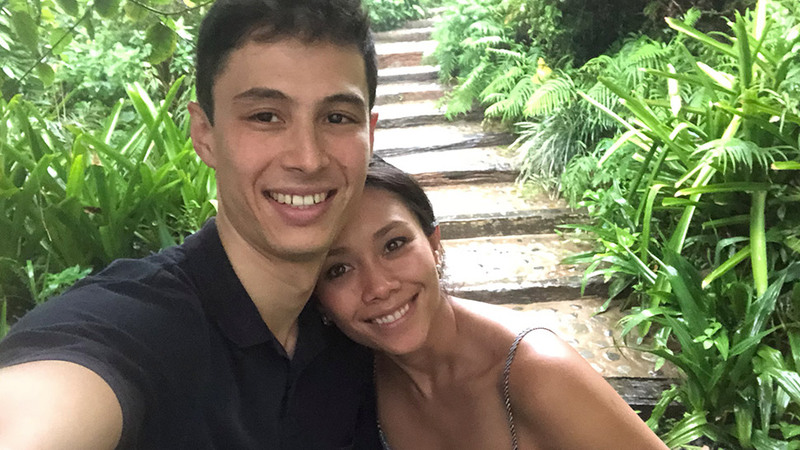 In between he worked at Newsbreak (the predecessor of Rappler) here in Manila and studied History and Theology at Durham University in the UK. Luccini says he continued to practice Chinese via Skype with a language partner while he was working in financial services in London. 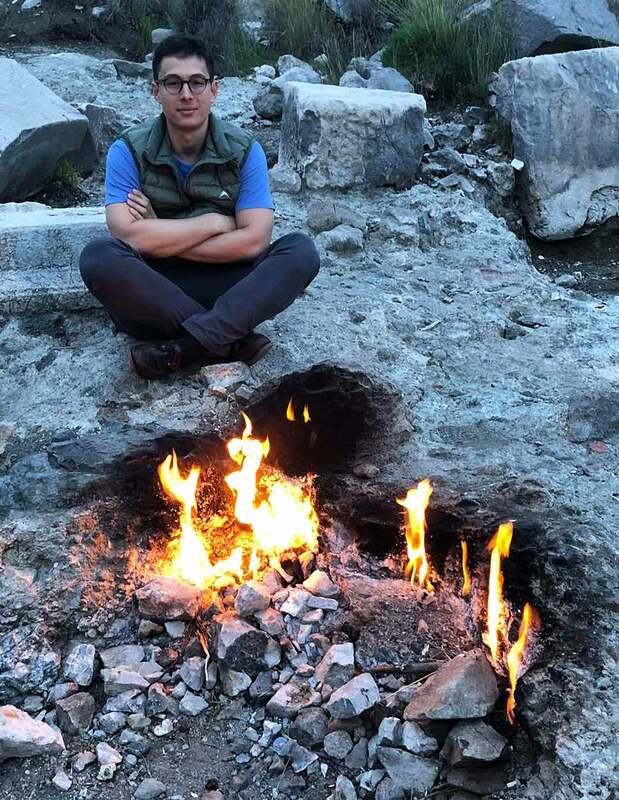 It was when he met management teams and entrepreneurs from dozens of companies across Europe that he decided to return to the Philippines and start his own venture related to his passion for education and languages. When did you come to the Philippines? Did you already have the plan for Learntalk before you came here? When I moved back to Manila, my goal was to set up a business in the education space. The dynamics of the education business can be attractive and they also provide a benefit to society. Initially, I attempted to invest in an existing school as well as start up a physical tutorial center. Learntalk was my third attempt at entering the education market. Would you say you're a permanent resident of the Philippines now? Yes, I love it here. My family is here. The opportunity is here. If you didn't set-up a business here in the Philippines, where do you think you'd be now? I think I would either be working in a private equity or hedge fund in Hong Kong or Singapore or potentially using my Mandarin and setting something up in China. "Yes, I love it here. My family is here. The opportunity is here." Where do you usually spend a night out? My girlfriend and I usually stay at home and cook. We both love cooking. I have a bunch of friends who have restaurants in Poblacion, like Wild Poppy or Holy Smokes so am often there, too. If you could spend a week of leisure anywhere in the country, where would you go? I would go somewhere I have never been before. Probably Cam Sur or Batanes. The karaoke mic is passed to you and you have to sing an OPM song. What do you sing? “Hawak Kamay” by Yeng Constantino. What's the most Filipino thing about you? If you ever have to leave and be relocated elsewhere in the world for whatever reason, what do you think will you miss most about living in the Philippines? Family, friends, weather, food, nature. Lots! Coins.ph is a financial technology startup that provides a digital wallet for people to make payments through their phones or computers. It does this through blockchain technology, which essentially serves as a global, public financial network for a variety of services with a wider reach and at lower cost. The guy heading Coins.ph’s cryptocurrency program is 28-year-old Filipino-American Colin Goltra. 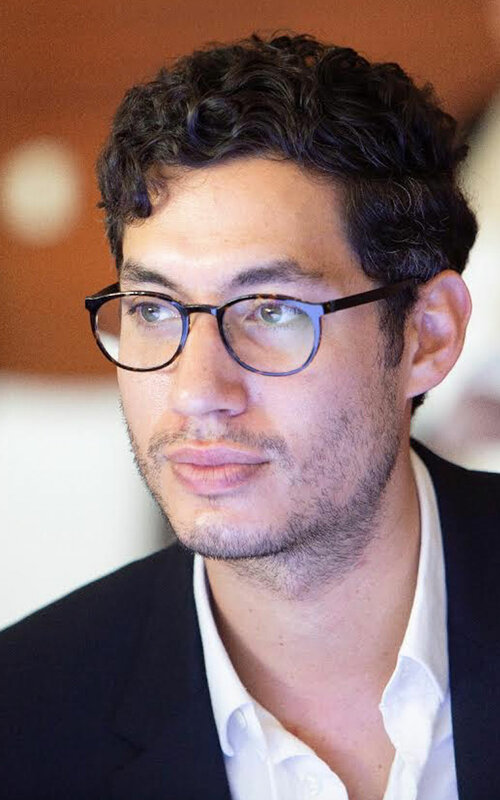 Born and raised in the San Francisco Bay Area in California, Goltra attended the University of California at Santa Barbara, where he studied Economics, Applied Statistics, and French. He worked in investment banking and as a strategist at Samsung before coming to the Philippines and joining Coins.ph in 2016. Why did you decide to come here to the Philippines? I came to the Philippines specifically to join Coins.ph, which at the time was raising early investment capital and already showing fantastic impact. There’s something unique and nascent about the startup ecosystem here in Manila that I think couples well with some of the recent economic growth the Philippines has experienced more generally. I count myself as very fortunate because coming to the Philippines has been this uncanny alignment of my family legacy, my professional passions, my ambitions to lead, and the general startup upswing in the country and region. Are you a permanent resident now of the Philippines? I’m actually still here on my working visa with Coins.ph. However, my Lola tells me that I am apparently eligible for dual-citizenship, so that’s actually something I’m fairly interested in exploring further! Goltra with immediate family (Mom, Dad, younger Brothers) at his cousin’s wedding in Orange County, California last month. If you're not with Coins.ph now, here in the Philippines, where do you think you'd be? Right now the thing that really inspires me most is the development of cryptocurrencies and blockchain technology, and the Philippines has a unique opportunity to play a global leadership role in this space. If I weren’t with Coins.ph, I’d like to think that I would still be involved in the growing ecosystem here. I’m an early member of the Blockchain Association of the Philippines, an industry coalition committed to the advancement of this ecosystem here in the Philippines, and a frequent speaker at various meetups and conferences. I think I would still be working very hard to contribute to our community’s collective growth. On an ideal day, I wake up then go to the gym, go swimming, or do yoga in the morning, and then head from my place in BGC to our office in Ortigas a little later in the morning after the primary commute traffic has died down. At the office, I usually spend the first bit of my day catching up with my team, checking emails, then checking the industry news. The rest of the day is spent working on various projects, taking meetings with clients, or interviewing new candidates. I do dinner with colleagues and then leave later in the evening (again after the primary traffic has died down). I say “ideal day,” because this day practically doesn’t exist. The reality of working at a high growth tech startup is that there’s always some surprise that’s all-hands-on-deck and there’s rarely ever enough people to tackle the problem. You lose nearly all ability to predict your schedule beyond a couple weeks at a time. It’s an exciting, stressful life, but it’s also led to incredible personal and professional growth. Yeah, I live and work in Metro Manila, where our headquarters is. I live in BGC, but commute to our office in Ortigas. To get around, I definitely rely a lot on ride-hailing apps. The traffic was definitely one of the major points of culture shock for me. I don’t think you really become a Manila resident until you’ve suffered through a few of those heartbreaking “carmageddon” evenings where you’re sitting in traffic on a payday and it starts raining and the ETA on Waze increases while your car is basically parked in the street. The Coins.ph team island-hopping yesterday. Growing up, my mom and dad’s families were both very different, culturally. On my mom’s side, I always associated the importance of family gatherings, informal closeness with cousins, bringing and sharing food, and other family-focused traditions as distinctly Filipino traits. I would say that those are the “Filipino things” I have internalized most, definitely. Kumu bills itself as the first ever social TV and livestream community app in the world. And it's founded by Filipinos. 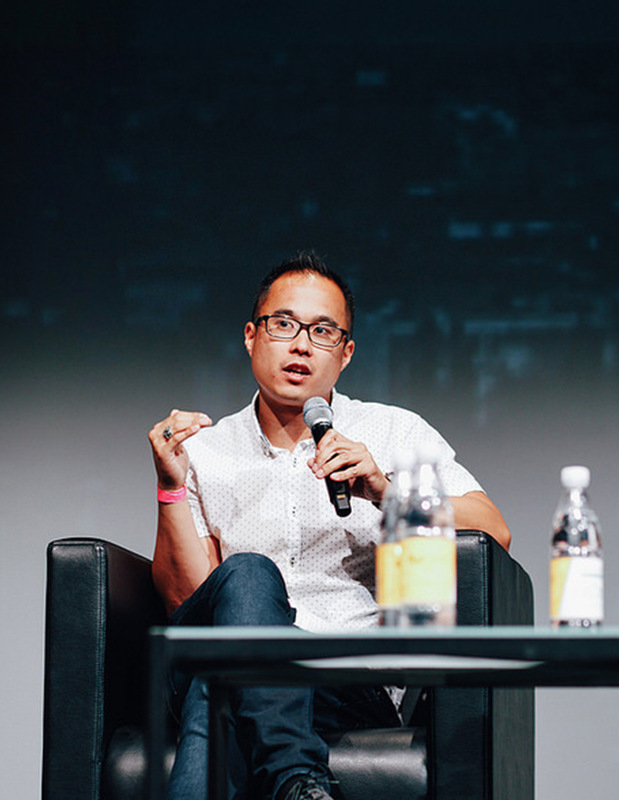 Roland Ros, co-founder and CEO of the app that combines elements of Facebook, Instagram and YouTube, was born in Los Angeles, California to Filipino parents. He studied at the University of California in Santa Barbara and worked for a time in the advertising technology business before moving to Manila to launch Kumu in June 2018. Ros co-founded Kumu with Rexy Dorado, Andrew Pineda, his cousin Clare Ros and Angelo Mendez. Together they envision a homegrown Filipino app that will be to the Philippines what Line is to Japan, WeChat is to China and Zalo is in Vietnam. The app now has live interactive shows like Quiz Mo Ko, the Brain Game, and Pinoys Doing Stuff LIVE that Ros says provides a unique way for Filipino millennials to connect and have fun together. Kumu is still in beta testing, but Ros says it currently has over 20,000 users spread out over 55 countries, about 80 percent of which are millennials. The growth is at 100 percent month-over-month since it launched in June, and at this rate, they hope to finish the year at 100,000 users. By 2019, the team is targeting to be in the top five social apps on both Google Play and the Apple’s App Store. “This is a very important goal for us, since we would be the only Filipino home grown app in the Top 5,” Ros says. "I had to walk away from a very comfortable life as an advertising technology entrepreneur in Los Angeles. When did you come to the Philippines? Did you already have the plan for Kumu before you came here? I moved here in June 2018. Yes, when (former) Ambassador (to the US Jose) Cuisia challenged me to start a company in the Philippines, I had to walk away from a very comfortable life as an advertising technology entrepreneur in Los Angeles. Yes, I'm a dual citizen and proud passport holder of Pilipinas! I would be at home in Los Angeles preparing to start a business in the Philippines. I love the motherland. I just watched Goyo again and Heneral Luna, and I'm even more passionate about the Philippines. I wake up, do my morning ritual, take a Grab to (the Kumu office in) AIM, work till rush hour, take meetings till around 10 p.m., then go home and work from my laptop till I fall asleep. I usually walk home at night to get some exercise in. Once my body starts to shut down, I do a weekend somewhere in the province to sharpen my mental saw. Are you based in Metro Manila? How do you get around the city? I'm in Salcedo Village and my lola is in Quezon City. I usually take Grab, but I also like to take the MRT from Ayala Ave all the way to SM North EDSA just to see what apps everyday Filipinos are using. My business partner Angelo Mendez opened up a bar in Poblacion called Boogie. So you'll find me there. He's also a partner for a trio of places in Makati: Black Market, FindersKeepers, and 20/20 that are next to each other. I check out those places sometimes. Other than that, I'm a hermit and am usually working on my laptop. Sunday during the day time is when I usually venture out. Do you know any Filipino celebrities/entertainers? Who's your favorite? I don't really know that many celebrities personally in the Philippines. But our head of brand partnerships Vicky Herrera co-founded She Talks Asia with Iza Calzado. And I love the work they're doing. Female empowerment, body positivity, and embracing the natural color of your morena skin are all popular topics on Kumu. “Ang Huling El Bimbo.” I love the Eraserheads! The creative energy of the Filipino youth. It's vibrant and exciting. It's a very wonderful time to be here. 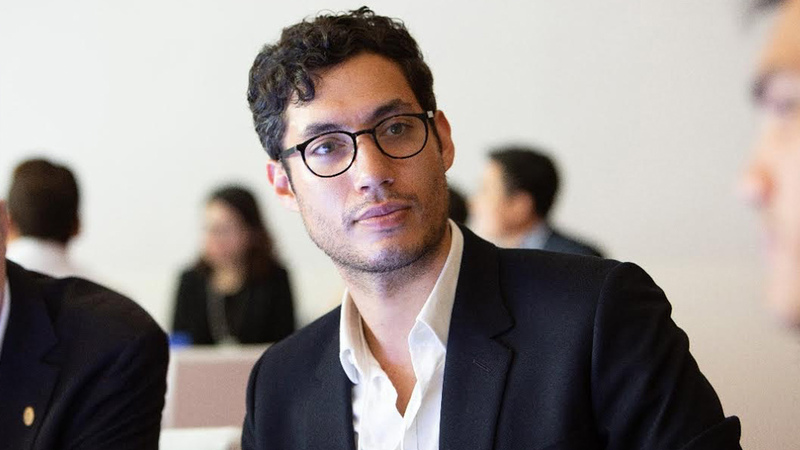 Jaime de los Angeles is the co-founder and CEO of Advance, a digital lending platform focused on delivering on-demand “sachet” financial services. In a country where the vast majority of the population is still largely unbanked, Advance provides micro loans and other financial services to employees by working with their employers, allowing them to essentially advance their payday. “Our mission is really to simplify the lending process and make it very convenient and affordable for our customers,” he says. 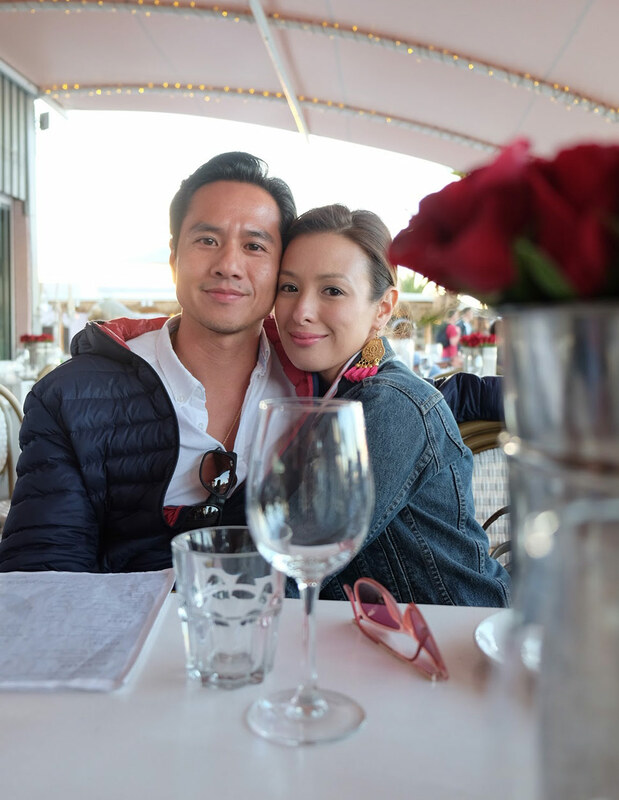 De Los Angeles’ parents are Filipino but he was born in Los Angeles, California and grew up in Taiwan and the US before moving to the Philippines. He graduated high school from the International School Manila, worked for a while in LA and pursued his MBA in Babson College in Boston. 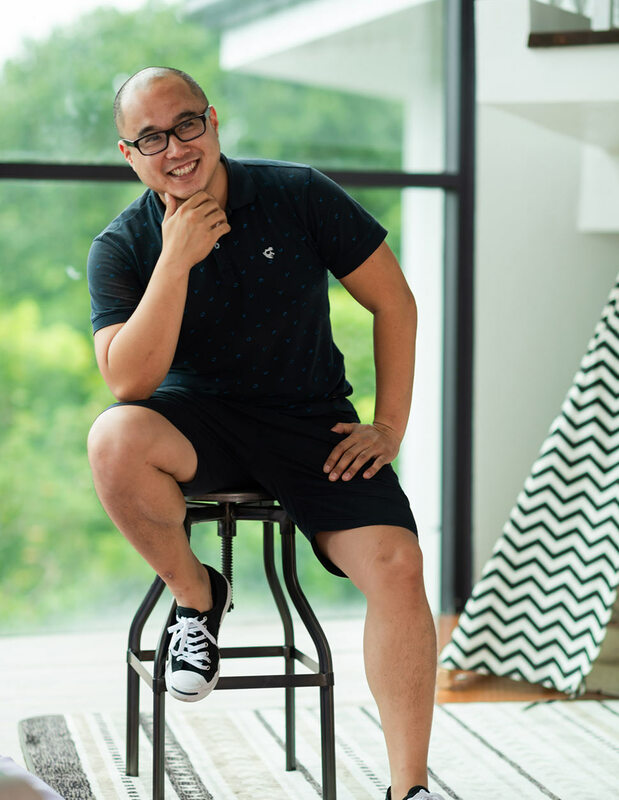 He flew back to Manila in 2010, worked with Citibank and dabbled a bit in film production before he was introduced to the local startup scene through working with Nix Nolledo, founder and chairman of Xurpas, one of the the first consumer technology firms listed in the stock market in Southeast Asia. He launched Advance just a couple of months ago. "I had been living abroad for nearly half my life, but had never worked in the Philippines and started hearing from friends who had moved back that there was a ton of greenfield opportunities." What made you decide to come back to the Philippines? I had been living abroad for nearly half my life, but had never worked in the Philippines and started hearing from friends who had moved back that there was a ton of greenfield opportunities. I found this intriguing, but I also missed what I considered my true home, both for its comforts and especially for the people I was closest to. In 2010, I decided to forego looking for career opportunities in the US, and focused on Asia instead. I am, and anticipate being around for the foreseeable future. If you're not with your company now here in the Philippines, where do you think you'd be? I'd still find myself somewhere in Asia. It's really a hotbed of activity, especially in the startup space, and I'd like to be close to home. Ideally, I'd look to align myself with a high-impact company poised to make a dent in a space that I'm genuinely interested in. Its been a pretty frenzied past two-months starting and launching this new venture. I'm lucky to have a great co-founder, Addi Guevara, and founding team who understand the pace necessary to get a startup off the ground. My day is a hodgepodge of everything from product handling, sales, meeting with potential clients and partners, talking to investors, and brainstorming, but always managing to squeeze in a workout and good meal/drinks session to keep the team sane and happy. Do you know any Filipino celebrities or entertainers? Who's your favorite? There's director and filmmaker, Paul Soriano, a close friend since childhood, and of course my wife, Nicole Hernandez, model and endorser. As far as favorites, its a close call here, but I'd have to choose the wife, or else...haha. I don't sing, ever. This is a sad truth. I whistle at best. Being late (and sometimes on purpose) to most things except very important meetings. Sounds clichéd (and spoiled), but there are definitely the comforts of home that I'm sure I'd sorely miss. That, the occasional beach trips, and of course all the fantastic people who I'd need to leave behind. Edukasyon.ph is an online youth platform that helps Filipino youth make better decisions about their lives by providing them with the basics—essential information, the right advice and the opportunity to make those choices. 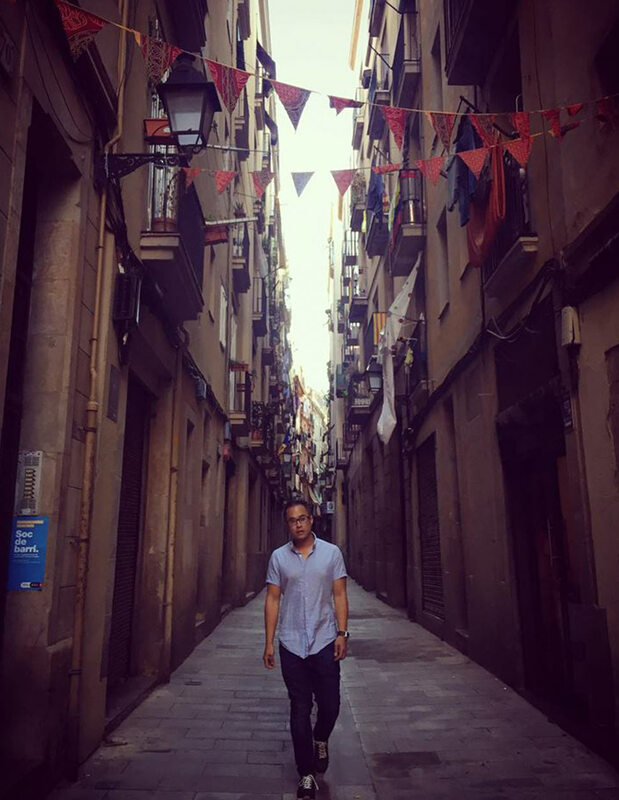 Its founder, Filipino-French Henry Motte-Muñoz, was inspired after witnessing a cousin apply for college in 2012. Motte’s eyes were also opened to the landscape of education in the Philippines. He says about 500,000 of the 1.4 million high school graduates annually never reach college because they can’t afford it. Of those who do, some 300,000 drop out because they cannot afford to continue or have chosen the wrong course. There’s also a clear mismatch between graduates’ skill level and job vacancies. These issues are what Edukasyon.ph are addressing. With over 13,000 schools on its platform including more than 400 school partners all over the world, the startup is providing relevant and relatable content to millennial and Gen Z users to empower them to make the right choices for their education and career. Edukasyon.ph now has more than one million monthly users, making it one of the fastest-growing and fifth largest ASEAN EdTech startup. Motte-Muñoz himself was born in Paris, France to a Filipina mother and a French father. He has a bachelor’s degree in Economics and Economics History at the London School of Economics and Political Science and completed his MBA at the Harvard School of Business in 2013. Prior to Edukasyon, he worked as a private equity investor at Bain Capital and as an investment banker at Goldman Sachs and also founded the anti-corruption NGO called Bantay.ph in 2013. ? When did you come to the Philippines? Did you already have the plan for Edukasyon.ph before you came here? ? I initially started Edukasyon in 2013, running it alongside my role at Bain Capital. By 2015, I decided to move back home to focus on the business full-time and work on building a great team in Manila consisting of fellow Filipinos passionate about empowering our youth. ? Would you say you're a permanent resident of the Philippines now? ? Yes! When I moved from Europe to Manila, I completely migrated here to the Philippines. ? If you didn't set-up an enterprise here in the Philippines, where do you think you'd be now? ? Frankly, I’ve always intended to set-up an enterprise here in the Philippines. Going home has always been part of the plan so I can’t imagine myself being anywhere else than where I am now. ? My days are mostly filled with meeting our various stakeholders across the country: from the students themselves, to schools, corporations, foundations and government institutions. No individual organization can do this alone—this is why I try my best to understand how to empower our 10 million Gen Z users. What's your favorite Pinoy food? Anything that they serve at home—especially sinigang! Yes, now in the BGC area. And because our office is located there, what better way to get around the city than to walk. As much as possible, I try to walk to my meetings but would often take a Grab in case I’m required to go further than the vicinity. I’m quite a fan of Poblacion; you always get to meet interesting people whenever you pay a visit. When I’m out, I love spending time with close friends and family. ? If you could spend a week of leisure anywhere in the country, where would you go? ? I think my favorite place in the country would be the island of Siargao. Not only are the beaches amazing, but the community gives you a sense of how beautiful our country truly is. ? I can’t claim to be a singer but if asked, I can squeeze in a rendition of "On the Wings of Love," but only if I can force someone to do it with me. What I lack in talent, I make up for with enthusiasm. ? I’m Kapampangan, so my favorite thing in the world is Filipino food. ? 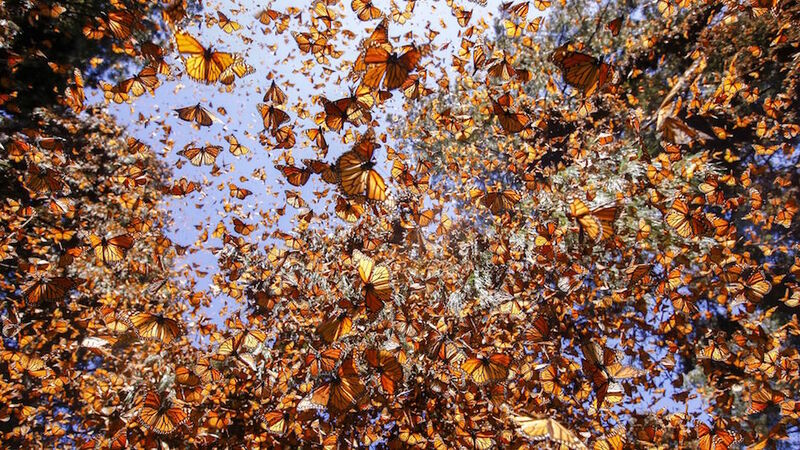 Aside from the natural sights, it’s the people. Living here has merely confirmed just how unique Filipino culture is, and how the warmth, generosity, and sense of community are unparalleled. ?